Thermolib Release 5.4. Designed to suit your needs. What’s new in Thermolib Release 5.4? 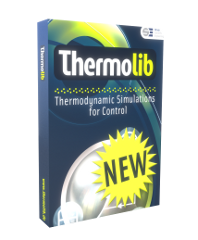 The new Thermolib Release is now available for download. Thermolib 5.4 is a major enhancement release.This release does not require any update of your models or any new licenses, provided that you have a 5.0 license available. For questions about the functionality of Thermolib or request of quote for renewal of your Thermolib Software Maintenance Service please contact us. Build environment updated to R2012b.